It's one of the most stunning bandeaux in a royal collection today, but the diamond bandeau belonging to the Dutch royals wasn’t always a tiara. Let's delve into the history of this major diamond piece, shall we? The giant diamonds that make up this bandeau were originally a part of a necklace. (The diamonds are often mistakenly identified as rose-cut stones, but that’s apparently not the case.) In 1879, the necklace was given by the Dutch people to Princess Emma of Waldeck and Pyrmont on the occasion of her marriage to King William III of the Netherlands. And she deserved major diamonds for marrying the old king; he was apparently quite the bon vivant. Several other princesses, including Emma’s sister Pauline, had turned him down, and he’d even tried to marry a French opera singer before settling down with Emma. Emma’s daughter, Queen Wilhelmina, had her mother’s diamond necklace remade into this stunning bandeau tiara in 1937. 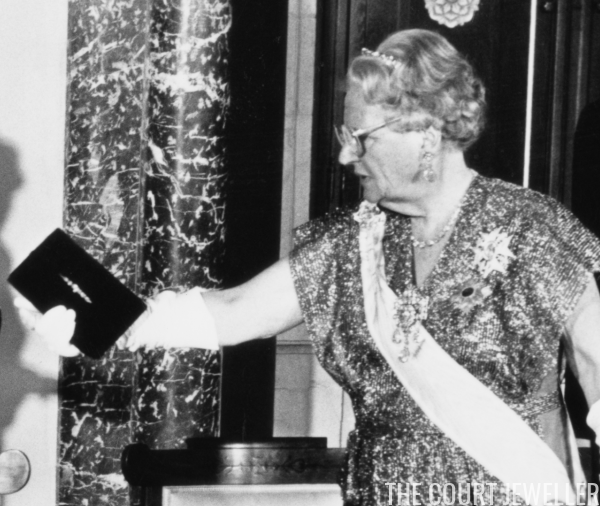 She only wore the tiara in public once, and after her death, it was inherited by her daughter, Queen Juliana. 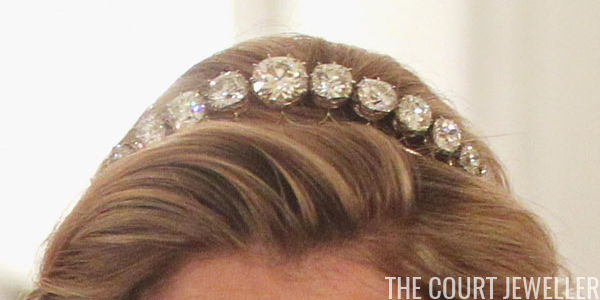 Juliana loved a good diamond, and this tiara was right in her wheelhouse. The enormous diamonds that cascade across the bandeau weigh, in total, more than a hundred carats. And Juliana was one smart cookie when it came to royal jewels. She started a family trust, which ensured that the pieces left to the collection would not leave the family. Above, Juliana wears the tiara at the end of her reign, during a state visit from King Juan Carlos and Queen Sofia of Spain. The bandeau is a part of the family collection today, and it’s worn regularly by both Princess Beatrix (whose hairstyle hides the piece a bit) and Queen Maxima. 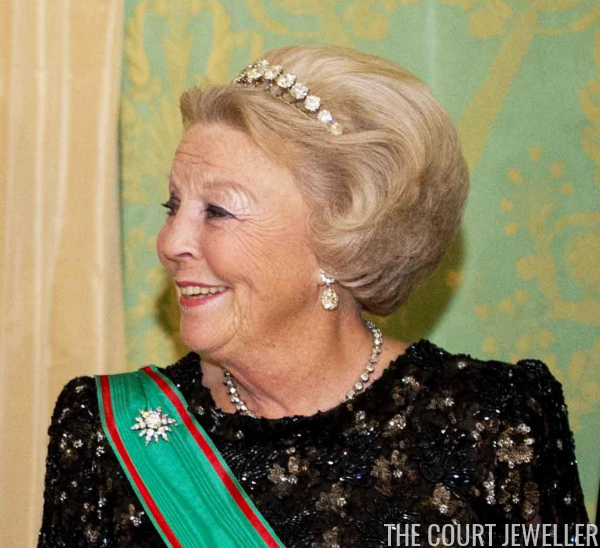 Above, Beatrix wears the tiara during a state visit from the Italian president in 2012, the year before her abdication. It's been a particular favorite of Maxima's, who even wore it on the night before she became queen consort. And I can see why: its profile makes it easy to wear with lots of different hairstyles, but it's still got enough wattage to take anyone's breath away.